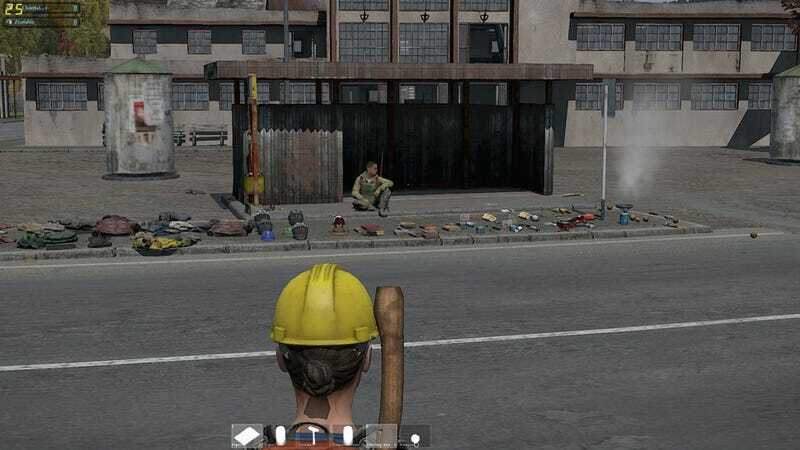 Sitting down in the middle of a town and opening a store with your loot in DayZ is probably the riskiest thing you can do. Some players still like to do that, maybe because they have snipers on the roof. Either way, I am positive that business will be booming.